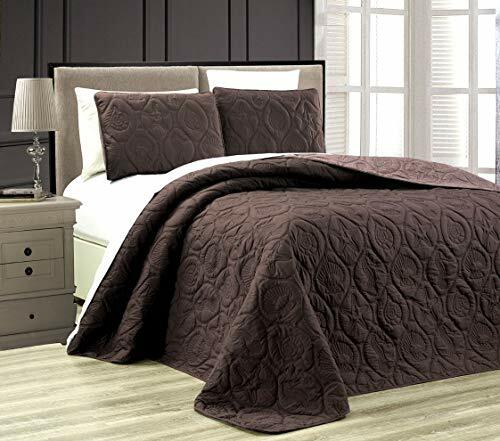 Royal Tradition Hotel - Queen -White-Checkered Quilted Wrinkle-Free Microfiber 3 Piece Coverlets Set 90x92"
New (2) from $69.99 & FREE shipping. 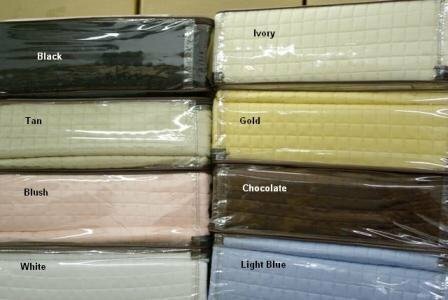 Size:Queen | Color:White Wrap yourself in these Coverlets or bed spreads that are truly worthy of a classy elegant suite, and are found in world class hotels. Set Includes: 3PC Coverlet set and 4pc Microfiber sheet set ( sheet set Available in many colors in solid or stripes but we will send White or Ivory ) which include: one flat sheet, one fitted sheet and two pillowcases ***Reversible*** Outside edges are trimmed in a 3" silky smooth banding detail. Machine Wash.